Simply share your honest review and a link to the site on Twitter, Instagram, personal blog or Facebook and then email us the details. That’s it! Twitter Details: Please don’t reply to our post or start your review off with “@Fleaflicker” but DO be sure to tag us elsewhere in your review! Facebook Details: Go here to post your review of the site. 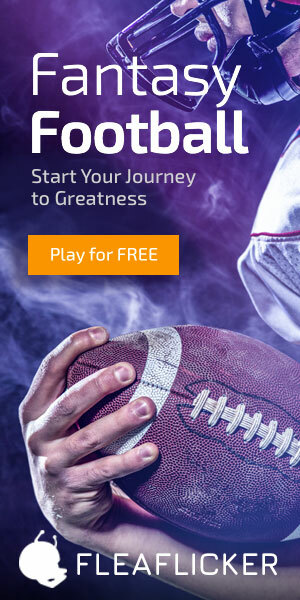 What will you get with your free Competitive Edge for NFL upgrade? 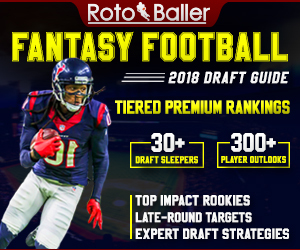 It will include preseason outlooks, buy/sell/hold advice, waiver pickups and start/sit handcuffs. 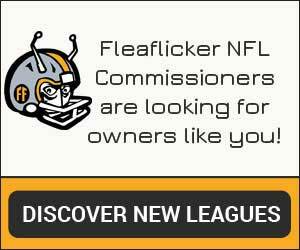 Once you’ve posted your review, shoot us an email at info@fleaflicker.com and include your Fleaflicker display name and a link to or screenshot of your review so we can activate your upgrade. We hope to hear from you by May 15!